Rena Tofiq Gasimova was born in 1961. In 1985 she graduated from the Faculty of Automatics and Computer Science, Azerbaijan Polytechnic Institute named after Ch.Ildirim. From 1985 until the appointment she worked for the ACS Department of Azerbaijan Academy of Sciences. She worked to develop systems for various purposes, such as a database management system "The Court of Auditors, the corporate information system "Personnel". She took part in the creation of the www.science.az portal of ANAS. 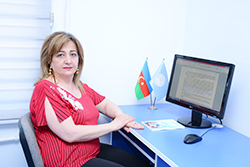 She carried out research on the implementation of technology in Azerbaijan, carrying out maintenance and analysis of multidimensional databases to support decision-making. 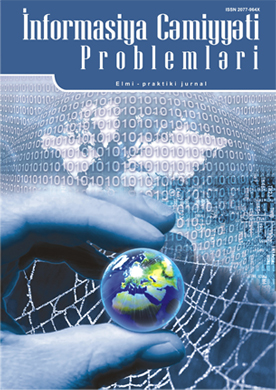 She also involved in the study of methods and algorithms for control and learning (Data Mining) in corporate network environment, and investigated methods of analysis of aggregate data in operational systems, analytical processing (OLAP - On-Line Analytical Processing), based on a large distributed information resources. Currently she is engaged in investigating the issues of forming a knowledge base of domain names related to interests of the Republic of Azerbaijan. She conducted researches on development of theoretical and scientific basis of knowledge base of domain names systems establishment and in 2014, she defended a thesis on subject “Development of methods and algorithms for the synthesis of intellectual monitoring system of national domain names’’ on 3338.01 -System analysis, management and processing of information specialty at the Institute of Information Technologies of the Azerbaijani National Academy of Sciences and got the degree of D PhD in technology. Currently, she is conducting research in Big data analytics problems. 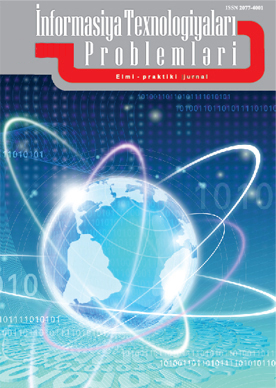 She investigates big data problems in processing, analysis and management process in real-time. She is the author of more than 43 scientific papers, 35 of them published in scientific publication. She is engaged in training activities in the Training Innovation Center of the Institute. Currently she holds the post of Sector Chief at the institute.